Shri. M. Madana Gopal, I.A.S. Additional Chief Secretary to Government, Forest Environment & Ecology Department, Dr. A. Ravindra I.A.S. (Retd.) Former Chief Secretary, GOK & Chairman, Centre for Sustainable Development, Mr. Anil Abbi, Director TRCC, Mr. M R Jaishankar, CMD, Brigade Group & Mr. Manjunath Prasad, COO, Brigade Projects at the inauguration. Brigade Group as part of its corporate social responsibility took up the important task of rejuvenating Sitharampalya Lake opposite our luxury project Brigade LakeFront. Brigade Group has restored the Sitharampalya Lake in Whitefield to its pristine glory by joining hands with the NGO- Tropical Research Development Centre (TRDC) for rejuvenating the lake. Massive development in EPIP area and the felling of trees resulted in receding water tables and the flight of birds to greener pastures. What was left of the Sitharampalya Lake was a little pond till about a year ago. Brigade Group and TRDC followed a systematic path to restore the lake. The lake restoration work was done in stages. The first step was removing several tons of debris in the lake and its surrounding areas, followed by pitching of bunds to help capture water and ensure it stays within the lake area and does not seep out. Next, was to put pipes or a crack dam in place to check if there is any seepage. The banks were then pitched with dry stone along the periphery to help arrest any seepage. With the completion of this, work on clearing the two existing feeder channels and also the creation of a third channel began. Also steps were taken to ensure that no sewerage from the surrounding areas was directed into the lake. A separate area was created within the lake premises to encourage visiting birds; several Herons and Indian Cormorants are already visiting the lake. Nu-algae was introduced into the water to reduce nitrous activity and bring down the growth of weeds and approximately 5,000 of five different fish species - including Katla, Tilapia and the common carp were introduced in the water by the Department of Fisheries. 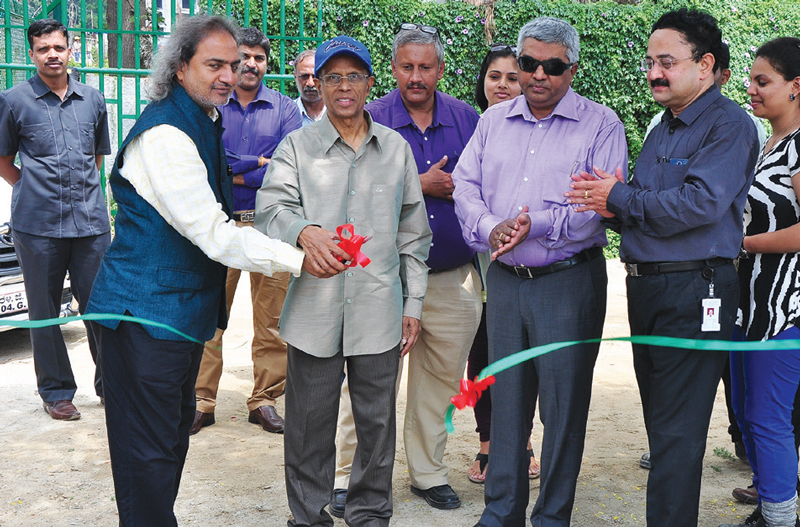 Apart from this a paved walking and jogging track of approximately 400 metres around the lake bed, a children’s play area and Pre-cast cement benches at few places along the walking tracks for relaxation of elderly people were placed at regular intervals. Also over 1,500 trees were planted in the bund area to encourage flora and fauna to thrive. With proper maintenance involving local residents and Government, the lake has the potential to be a good recreational space within the IT hub and upcoming residential developments surrounding the lake.